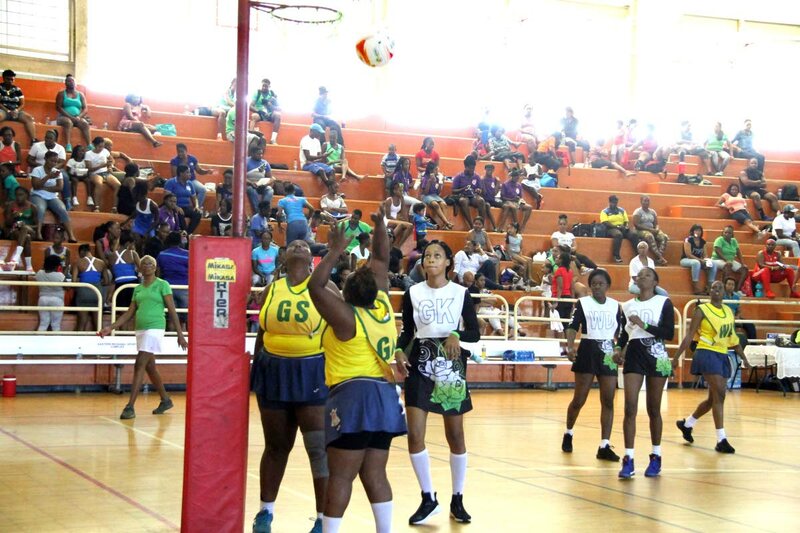 ANOTHER leading performance from goal-shoot Okera Dennie helped MIC-IT Tigers to a third consecutive win in the Courts All Sectors Netball League's Alternative Division, at the Eastern Regional Indoor Sports Arena, Tacarigua, Thursday. MIC were too much for Jabloteh who were brushed aside 35-7. Bermudez also remained perfect with a third straight victory. Dennie, who top scored with 14 goals in her team's first two wins, did so again with 17 goals from 28 attempts, to finish as the joint top individual scorer in the three Alternative Division matches played on the day. Dennie got good support from goal-attack Aaliyah Modeste, who ended with economical figures of 16 goals from 21 tries. For Jabloteh, who suffered their third straight loss, goal-attack Natalie Browne capitalised on her few sights of the target, scoring four goals from five tries. The day began with Bermudez recording a 21-16 win over winless Las Lomas, a result which also saw Bermudez cop a third straight win. Goal-shoot Nakaliah Daniel scored 15 of her 20 attempts for the winning team, while her team-mate Nicola Alleyne scored six from 12. Debra Superville was Las Lomas' best player, scoring 10 off 14. In the second fixture, USC won their second match of the season with a 21-16 beating of TT Post, thanks in large part to goal-attack Michelle Williams who netted 17 goals from 26 attempts. Victoria Jules had a good outing with 12 goals from 15 but ultimately could not stop TT Post from slumping to a second straight defeat. Action will continue today with two matches in the Championship Division and three in the Premiership Division, starting at 12.30 pm at the same venue. Reply to "Tigers, Bermudez stay perfect"